AI-powered flexibility security solution to monitor property and valuables in real-time. GetSense was developed in an attempt to create low latency live streaming for countries with slow internet so that they could still have security regardless of their internet speed. 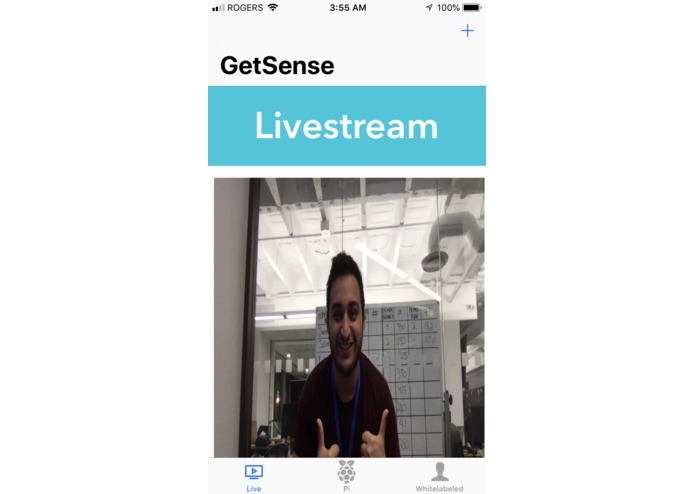 GetSense is an AI powered flexible security solution that uses low-level IoT devices (laptop camera systems or Raspberry Pi) to detect, classify, and identify strangers and friends in your circle. A GetSense owner uploads images of authorized faces through an user-facing mobile application. Through the application, the user has access to a live-stream of all connected camera devices, and authorized friend list. Under the hood, when an user uploads authorized faces, these are sent as data to Firebase storage through a REST API which generates dynamic image URLs. These are then sent to serverless functions (FAAS) which connects to the computer vision microservices setup in Clarifai. The IoT devices communicate via RTSP and streams the video-feed using low-latency. We used stdlib to generate serverless functions for obtaining the probability score through Clarifai facial recognition, push notifications via Slack alerts to notify the user of an unrecognizable face, and managing the image model training route to Clarifai. For the facial detection process, we used OpenCV with multithreading to detect faces (through Clarifai) for optimization purposes - this was done in Python. 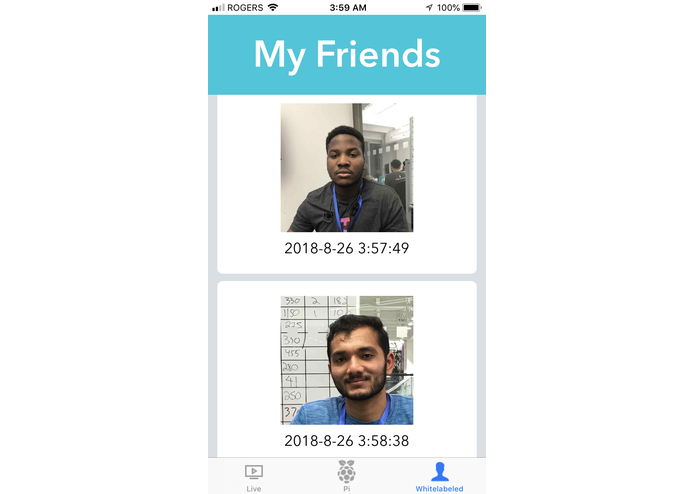 An iOS application was exposed to the user for live-streaming all camera sources, adding authorized faces, and visualizing current friend list. All the data involving images and streaming was handled through Firebase storage and database, which the iOS application heavily interfaced with. Our initial goal was to use AWS kinesis to process everything originating from a Raspberry Pi camera module. We had lots of issues with the binaries and overall support of AWS kinesis, so we had to pivot and explore camera modules on local machines. 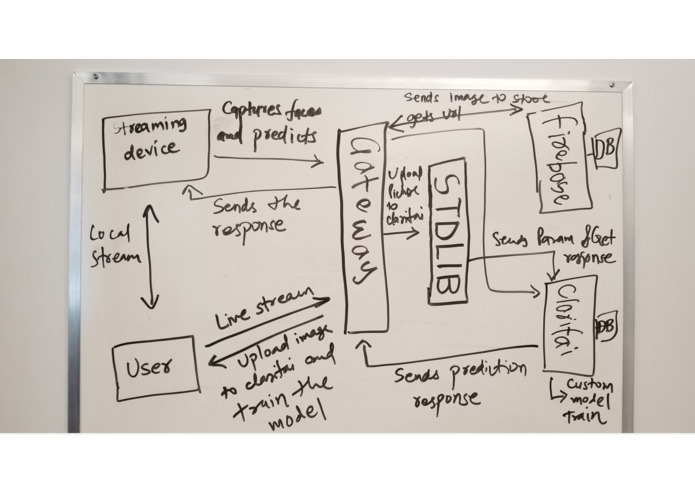 We had to explore using Clarifai for facial detection, running serverless functions with stdlib, and push notifications through an external service. We learned how to use StdLib, Clarifai for image processing, OpenCV, and building an iOS application. We want to improve it to make it more user friendly.